[Frames Unlimited] has helped me with, perhaps, a dozen original oil paintings that hang in my office suite. Once again, [Frames Unlimited] assistance was invaluable. I wanted to let you know what a SUPERB job [Frames Unlimited] did on a challenging project for me. I am sure [Frames Unlimited] went the extra mile and put in some extra time to make it come out right. 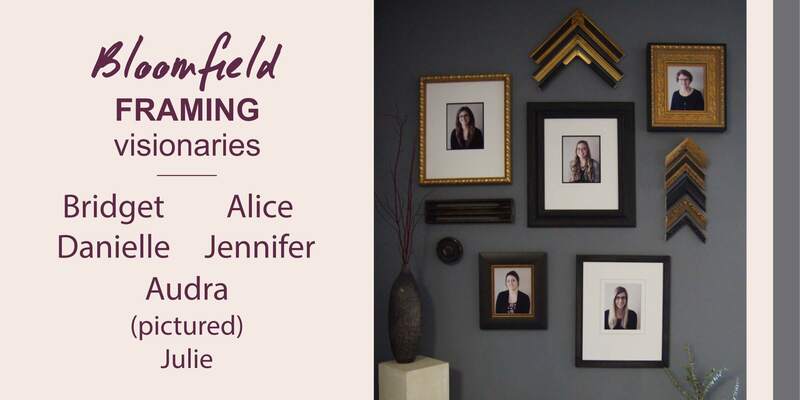 Together we selected the perfect frames and mats, and the outcome was stunning. I have worked with [Frames Unlimited] many times in the past, and [they] have always done a brilliant job. I brought [Frames Unlimited] a tin printer's pallet and several newspaper clippings…I nearly burst into tears when [Frames Unlimited] showed it to me. My son was thrilled. Absolutely speechless. Cannot thank you enough. Year after year, your staff continues to be helpful, friendly, knowledgeable and courteous and able to work within my deadlines. This year was no exception and I just wanted you to know what a pleasant experience it is…Thank you for another successful experience! This is just a shout-out for the consistently fantastic job that [Frames Unlimited] does on every piece that is given [to you]. [Frames Unlimited] exceeded my expectations again…You can count on our loyal service for years to come. Thanks for hiring the best! As a teacher, I believe in taking the time to let you know when there is something good to say! Thank you.